8 Black churches have been burned to the ground since the shooting of 9 parishioners at Emanuel AME Church in Charleston, SC. 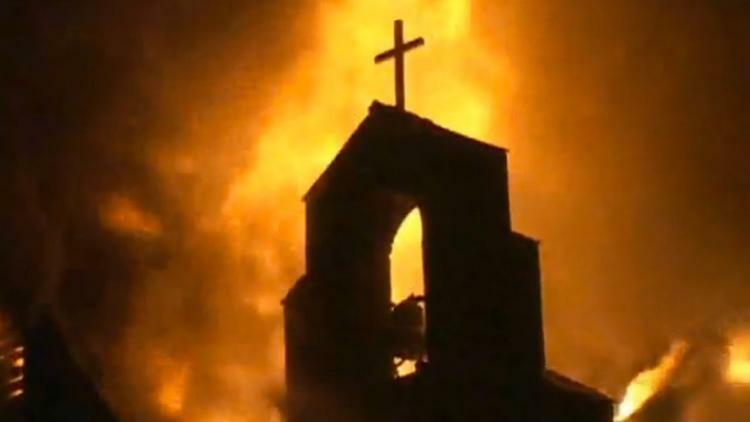 These church burnings happened within the span of 10 days. Three were undoubtedly set by arsons; the others are pending investigation. But to many it is clear that these are attacks on Black culture, Black religion and Black lives. These kinds of attacks on Black churches are a very old form of intimidation in the South, historically used to strike fear into the hearts of Black people. Its Ramadan and we are experiencing firsthand the beauty and sanctity of our mosques during this holy month. ALL houses of worship are sanctuaries, a place where all should feel safe, a place we can seek refuge when the world is too much to bear. We are calling on you to help add our support to faith communities across the country pooling their resources to rebuild these churches. There has not been anywhere near the amount of resources needed to rebuild these churches. The time is now, let’s unite to help our sisters and brothers in faith. As Muslims we know the importance of protecting the vulnerable and respecting people who call on God in their various tongues. We want for others what we want for ourselves: the right to worship without intimidation, the right to safety, and the right to property. We must always keep in mind that the Muslim community and the black community are not different communities. We are profoundly integrated in many ways, in our overlapping identities and in our relationship to this great and complicated country. We are connected to Black churches through our extended families, our friends and teachers, and our intertwined histories and convergent present. Too often cowards inflict us with a crippling fear, but with encouragement and support from likely and unlikely places fear cannot stop us. Our network of Muslim activists and organizations, including Muslim ARC, the Arab American Association of New York and Ummah Wide will handle all of the logistics for ensuring the funds get to these churches. We have contacts with pastors and church leaders who we will work with to see that these funds get to the churches that need it most. And of course, pray. Pray hard.